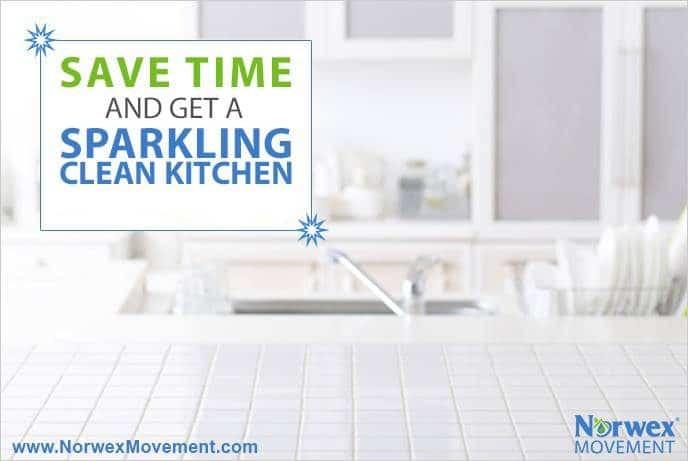 As I started researching cleaning and how to clean and cleaning faster and systems of cleaning in order to fire my cleaning lady, make cleaning easier and cheaper and safer, I found that having a system works. I read a bunch of “how to clean” books and they all had this caddy that you carry around with all of your tools and cleaning supplies. BUT I FOUND A MUCH SIMPLER WAY. All I needed was ONE BOTTLE OF 88 CENT CLEANER. AND TWO CLOTHS. #1. 1 BOTTLE OF CLEANER. All I need is ONE cleaner to clean ALL. THE. THINGS. Everything. Seriously. That’s all. (And I use it as my stain remover too.) Can you believe it? Thieves Household Cleaner is it. It is safe and nontoxic. 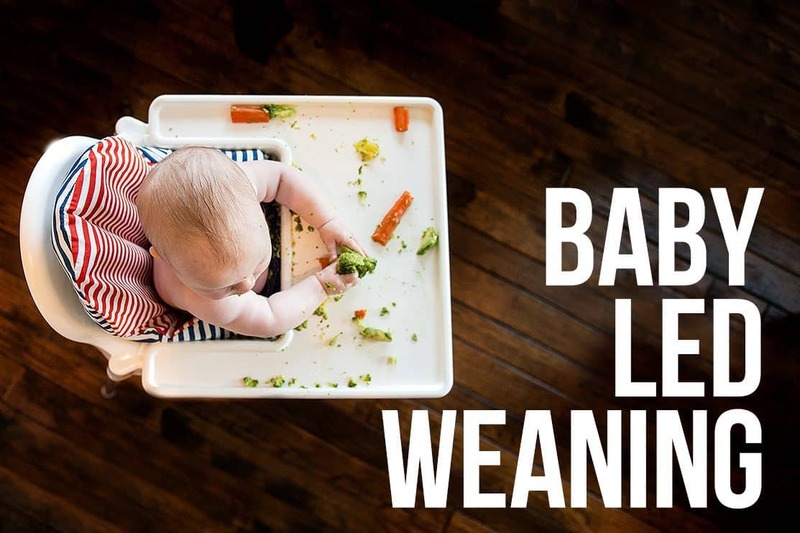 It is plant based. It smells great without the smells being dangerous chemical fragrance. It’s fabulous. And, it’s simple. And, it’s cheap. And….it’s all I use for everything. With that bottle I have my favorite microfiber cloths. I have #1 AN ENVIRO CLOTH and #2 A WINDOW (POLISHING) CLOTH. And that cleans 97% of my entire home. Just those and that’s all. The Enviro Cloth picks up dirt and grime. The window cloth polishes all surfaces, but is especially for windows and mirrors and stainless steal. That’s all folks. It’s really that simple. I PARTNERED WITH NORWEX FIRST. I started my first blog in 2008. People were always trying to get me to sell something and there was nothing that I felt like truly aligned with my “brand” and what I believe…until Norwex. Norwex is the first company I partnered with and I still love them. It’s been about four years now and I still love them. I still had chemicals in my house to clean before Norwex because I just didn’t know another way. 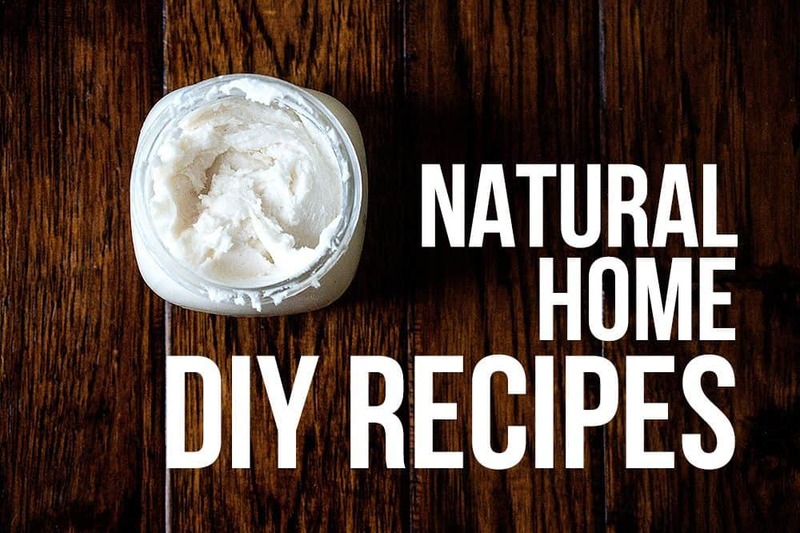 I would spend hours reading on ewg.org and other natural blogs to make my own and buy cleaning products that were safe. It was exhausting and it didn’t work well. I didn’t have a good system. With Norwex you clean with only water. Yep! You heard that right! TWO cloths. One wet. One dry. And you’re done. I like to add my Thieves Household Cleaner because it fights more germs and it smells so nice! I CLEAN 95% OF MY HOME WITH THESE 2 CLOTHS…. You can buy it here in the handy Basic Package but please read on because you might want to buy a few more things (like the detergent) if you’re a new customer. IT IS SAFER. There are no chemicals. Just add water. IT CLEANS BETTER. 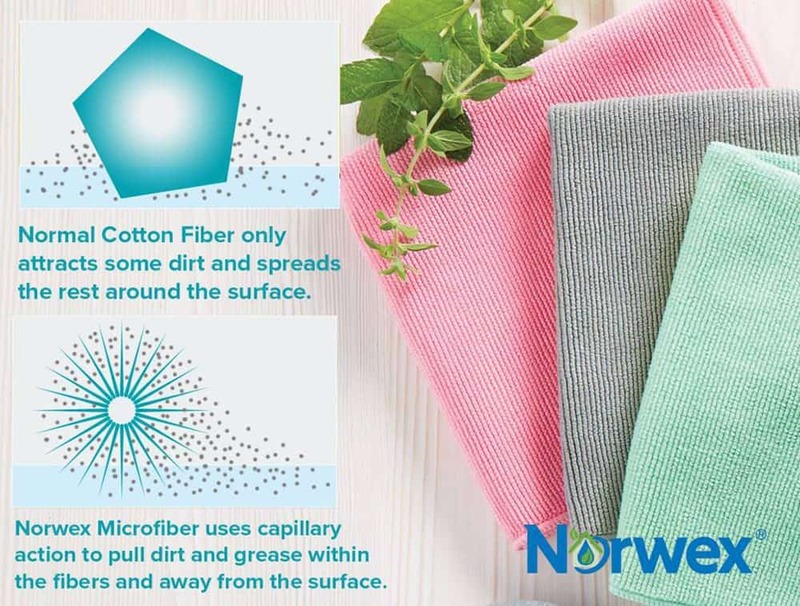 Because of the amount of fibers in Norwex Microfiber cloths it picks up MORE dirt into the cloth. It can actually be drying to skin because it is so efficient at removing oils. IT’S FASTER. Gone are the days of toting around a huge container or cleaners and running back and forth to get more. Seriously. Two cloths. One wet. One dry. That is all. And you’re done. 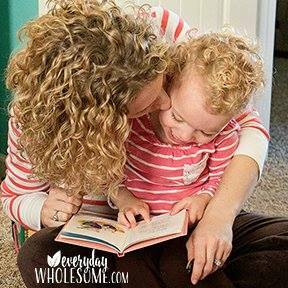 HOW DOES NORWEX MAKE MY HOME SAFER? I replaced my chemical cleaners with antibacterial cloths. 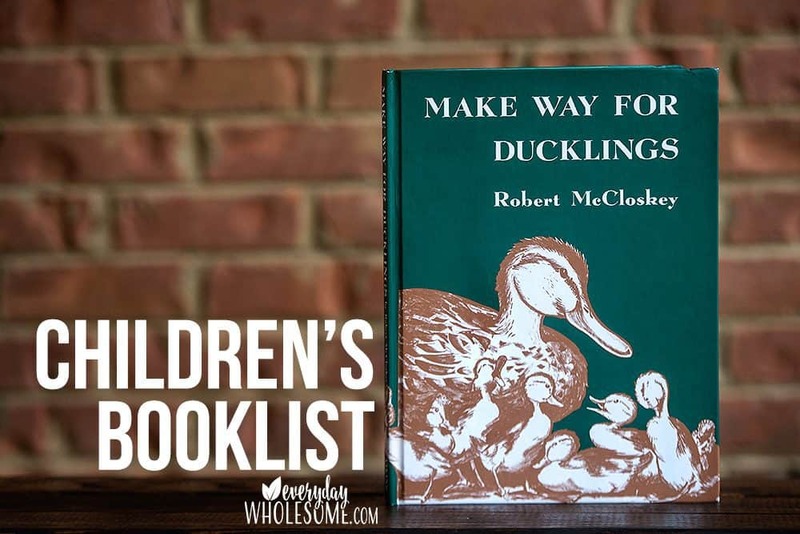 MY CHILDREN CAN HELP. I can let my children help me clean with Norwex. Nothing will spray in their eyes…not even a safe cleaner like alcohol or vinegar should be sprayed in the eyes. But I can give my toddler a spray bottle with water and a Norwex Enviro Cloth or Norwex Window Cloth and they will have a blast and clean the windows and doors and floors for me. The only risk I see is that they spray so much water they slip and fall. So we have to watch out for that. 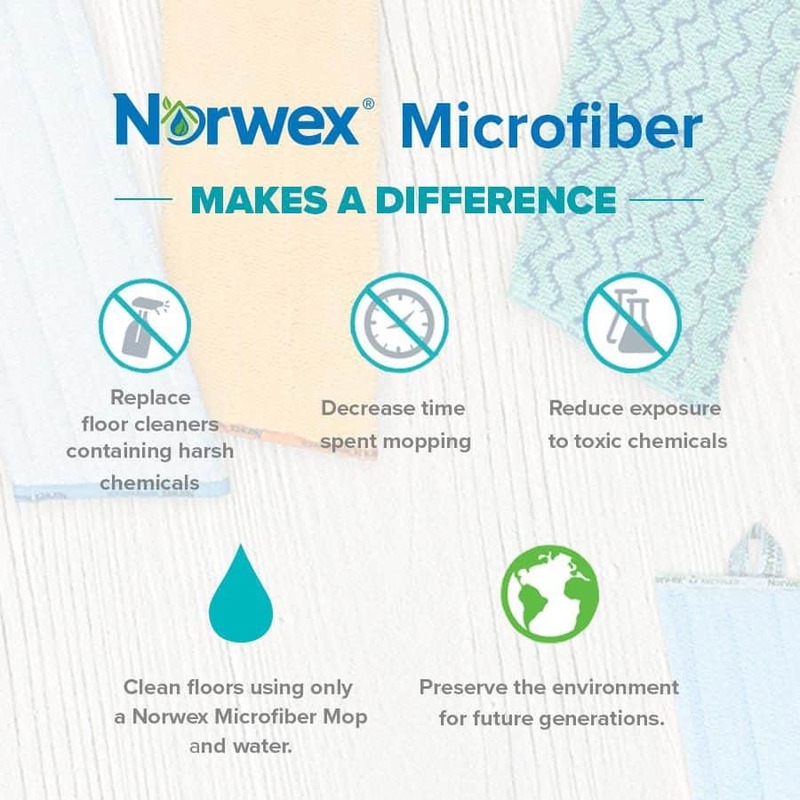 Norwex doesn’t use any chemicals to clean. 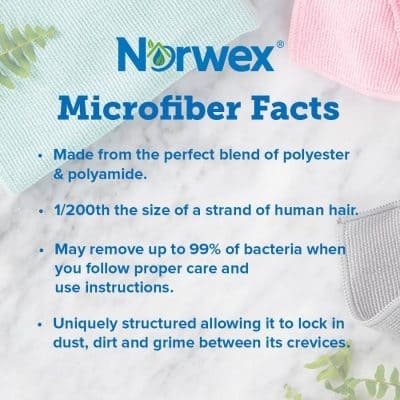 Norwex enviro cloths are the best microfiber you can find so the tight weave picks up more of the dirt. Then, because the cloths have silver in them, they are able to become antibacterial after each use when wet. You can clean 95% or more of your home with TWO CLOTHS. That’s it. TWO CLOTHS and WATER. 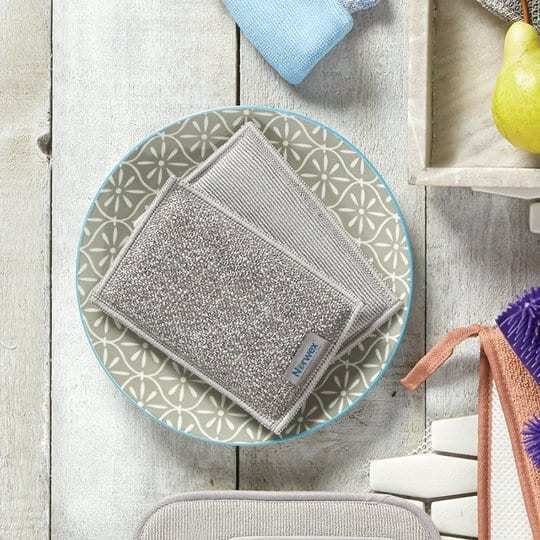 Because of the antibacterial qualities and the high quality of microfiber, they don’t need to be washed as often as you would need to wash another cleaning cloth. Once a week washing recommended. WHAT MADE ME BELIEVE IT ACTUALLY WORKS? 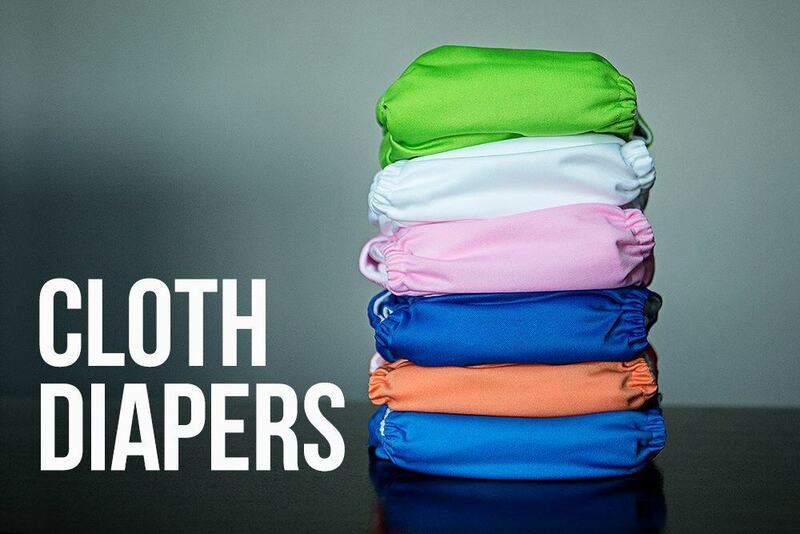 This video really sold me on the product actually being antibacterial and more than just another microfiber cloth…. I talk a lot about simplicity and how simplifying routines & systems clears the mind for more important things. WORKS BETTER THAN COMMERCIAL, TOXIC CLEANERS. I love this product. Love it. And use it. And I tell anyone I can about it. It’s that great. 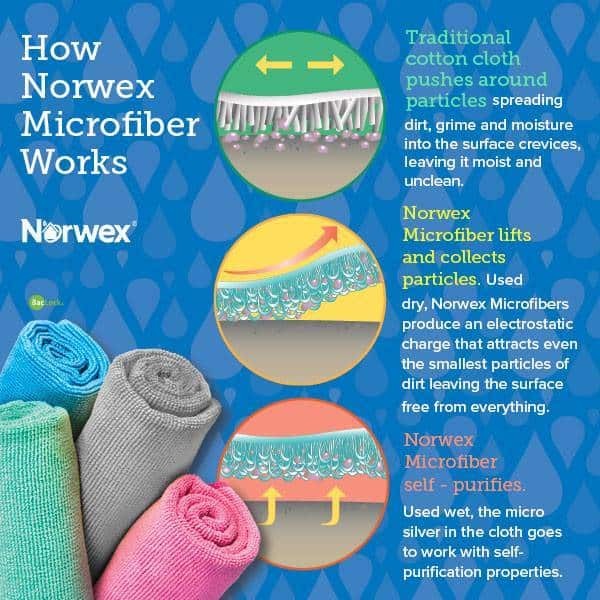 HOW TO CARE FOR YOUR NORWEX MICROFIBER. SLIGHTLY DUSTY. Wash with Norwex Dishwashing Liquid or a shaker of Norwex Detergent. I reuse an old spice container with some Norwex Laundry Detergent and I sprinkle and spot clean at the sink. DEEP STAINS OR ODORS. Boil for 10 minutes to allow fibers to swell and release the debris. REGULAR LAUNDERING. Launder microfiber cloths separately or with other lint-free laundry using Norwex Laundry Detergent powder (my fave!!!) or Norwex Liquid Laundry Detergent. Dry completely. Do not use bleach, fabric softeners, or dryer sheets as they will coat the fibers and reduce their ability to clean effectively. WHAT ARE MY FAVORITE NORWEX PRODUCTS? 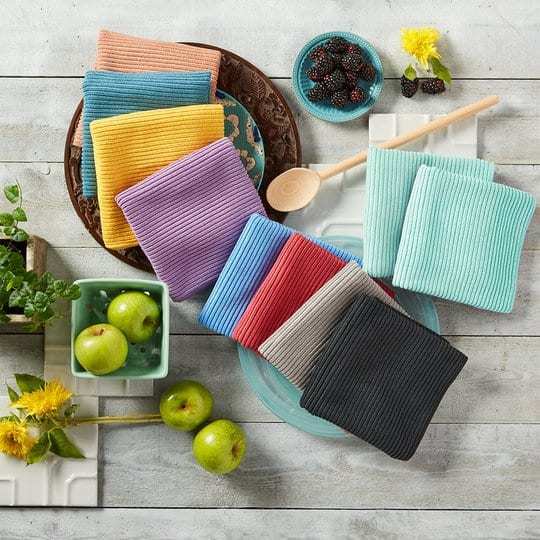 Norwex Enviro Cloth or Norwex Enviro Cloth with NEW COLORS. Norwex Detergent to wash all your laundry. or just your cloths. or just your cloths and your whites. or just your cloths and take it with you on vacation and wash your clothes in the hotel sink. works like a miracle. 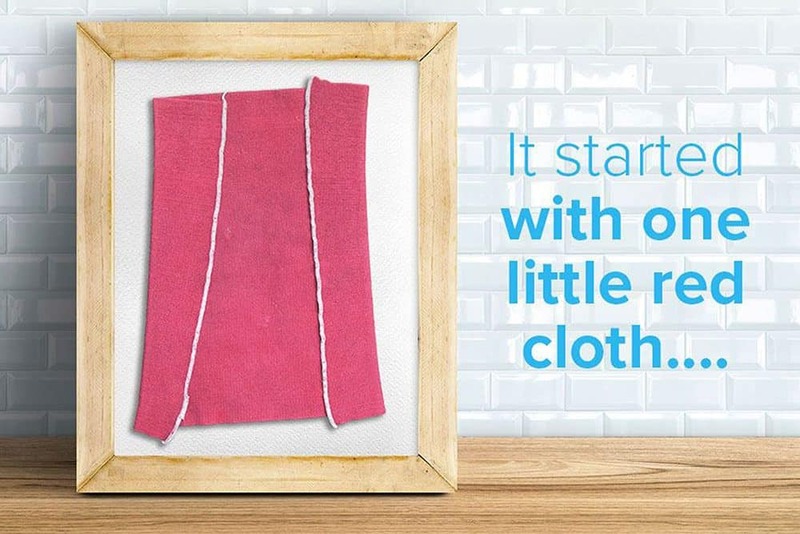 Norwex Body Cloths or Baby Cloths for my face instead of a washcloth. Norwex Descaler If you have a glass shower door with soap scum, you will thank me for this one. Cleaning Paste. I mainly use this on kid tables to remove crayon and marker. I use it on baseboards to clean off dirt and scuffs. I use in on tile when a kid writes with marker on it. sigh. Optic Scarf to clean my glasses and screens. New colors and more new colors. 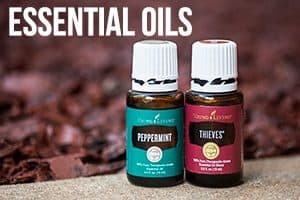 Car Vent Clips for my Young Living Essential Oils. Makes me happy. Makes my car smell better. New Counter Cloths are just the right (small size) to clean the tables and counters. EnviroSponges are my new favorite. I clean the dishes with the scratchier side and then flip it over and polish the sink with the Enviro side. I use the scratchy side to scrub off the stuck on grime and then I flip it over and polish the counters. HOW TO GET FREE PRODUCTS. This is the best company I have ever seen for giving away free things. My first few months with Norwex I got a few THOUSAND dollars in free items. Not kidding. That’s the main reason I joined. I WANTED IT ALL. And I didn’t want to buy it all. So I earned it all FREE! It’s so great! If you want to get free products, the best way to get them is to join as a consultant or host a party or both. Every time I host a party I get HUNDREDS of dollars in free products….my hostesses do too. Look at the rewards here. Or contact me here. I usually earn around $250 minimum in free products. It’s so easy to do. Contact me and I’ll tell you more. WHERE IT ALL BEGAN WITH NORWEX. It all began in 1994 with bugs on a windshield. 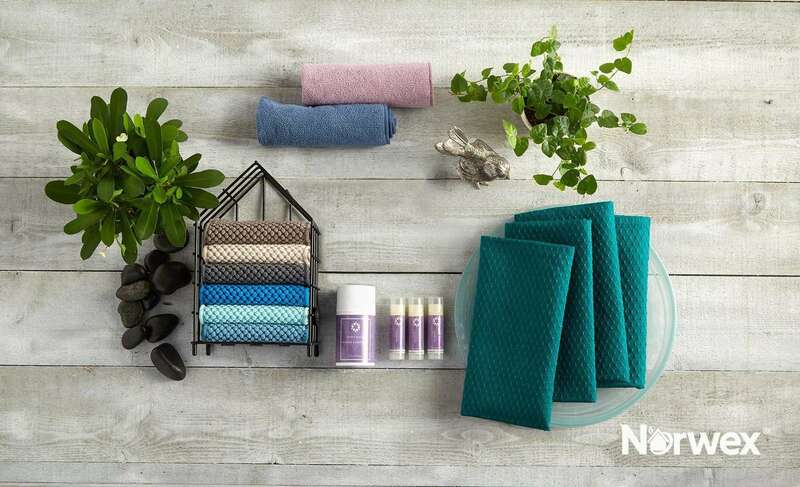 Read more about Norwex Heritage here. Sign up for my email list to stay updated. 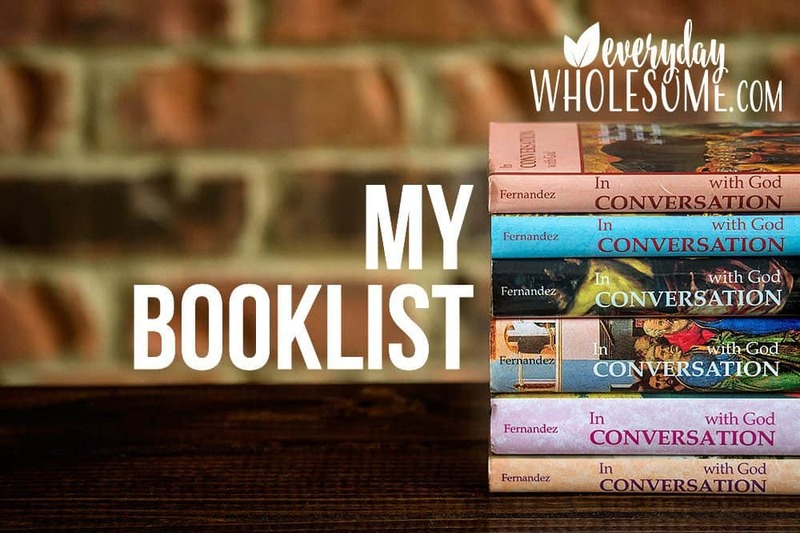 I’m planning posts about….